Complete with adventurous romance, harrowing escapes, hell-bent revenge, and a werewolf terrorizing the gentry; The Wolf of Dorian Gray transcends this classic work of literature into a compelling and most delicious read. What will happen when the wolf comes to London? Can Dorian save his soul? Or will the beast consume it and his life, along with those of his friends and loved ones? This expanded edition of the classic philosophical fiction by Oscar Wilde, features all-new scenes in a compelling tale of love, lust, and the werewolf spawned by the evil of man. The story, set in late 1800’s England, follows the life of Dorian Gray, who through ancient Romani magic’s and the skills of an astonishing artist has had his fate and soul irrevocably linked with the last remaining wolf in the forests of England. Dorian revels in the experiences of first love, delights in the art and beauty of the world, relishes the freedom of his youth, and is awakened to the many pleasures of life. His friend and mentor, Lady Helena, provides a guiding hand as he struggles with his conscience and the purpose of living. Meanwhile, the wolf begins to grow and change into a hideous monster that is ravaging the countryside. 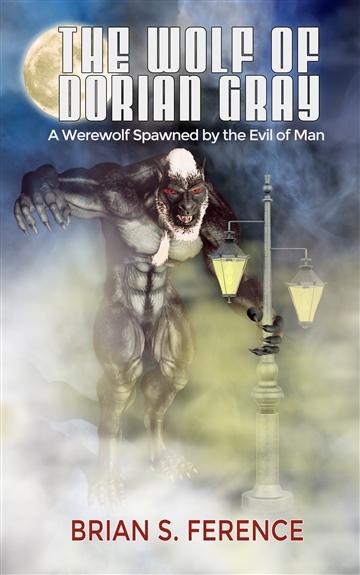 The Wolf of Dorian Gray: A Werewolf Spawned by the Evil of Man is the first book of a series revolving around the classic figure of Dorian Gray and his struggles with evil, which takes the form here of the last remaining wolf in 1800s England. As in the original Oscar Wilde Portrait of Dorian Gray, Dorian faces the temptations of wicked forces and the drive to be good; but unlike Portrait, a wolf enters the picture to grow from a persecuted, hunted beast into a dangerous, malevolent force that enters London with malevolent intentions. In this scenario Dorian may be the only force that can stop or transform it - or, is he just another pawn in the devil's game? From artist Sage's relationship with the enigmatic and handsome Dorian Gray and the reasons behind her attraction to him ("Dorian is my dearest friend. He is kind and has a pure soul and a simple nature. You’ll try to influence him or spoil him somehow. This is the one person who adds more to my art then I could ever explain and I couldn’t stand to lose him.”) to Dorian's sexual exploits with Sibyl and the mirrored experiences of wolf and Dorian as they become more confident about their prowess and places in the world, The Wolf of Dorian Gray crafts a masterful synthesis of two disparate characters who find their journeys and perspectives coalescing. Rarely does romance and revenge intersect so pleasurably and delicately, forming a dance of passion and purpose that embraces a soul search and a confrontation between choices of salvation and sin. The result is especially recommended as a concurrent read with Wilde's original masterpiece, taking the original Portrait's complexity a step further in adding a werewolf into the evolution of an entirely new facet of Dorian Gray's persona, complete with a surprise conclusion examining who is truly monster and who is master. Literary readers with the original in hand will relish this wide-ranging, thought-provoking extrapolation on Dorian's theme.